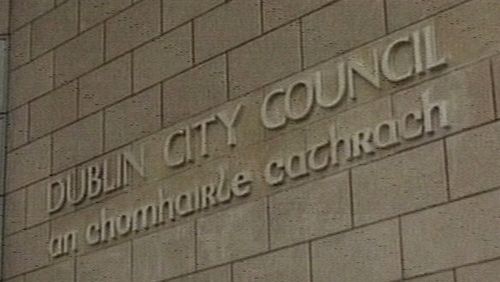 RTÉ News has learned that Dublin City Council is proposing to relax its minimum apartment standards to cope with housing demand in the city as part of the new development plan. A new studio apartment classification with a smaller minimum area of 45 square metres will be allowed in private rental schemes and in converted upper floors of city centre buildings. That would be nearly 20% smaller than the existing minimum. The proposals from council planners would also reduce the 'dual aspect' requirement - that apartments have windows on two different walls - from 85% of units in any scheme to 50%. There had been a ban on single aspect units being north facing but this would be allowed if the unit overlooks a body of water or designated green space. Single aspect east facing units would now be allowed. The number of single units permitted in a scheme would be increased from 20% to 30% with a quarter of these allowed to be studios if the scheme has been purpose built for private rental. It is also proposing to increase the maximum number of floors in a most standard residential schemes from 7 to 8 to make it the same as commercial developments. But the existing minimum size of standard new apartments in Dublin will remain at 55 square metres for a one bedroom unit compared to the Government minimum of 45 square metres with similar higher space for two and three bedroom units. There are also no major changes proposed for the strategy on tall buildings. In the draft development plan 2016 to 2022 sent to councillors, Chief Executive Owen Keegan states that the provision of housing is the single most important objective of the plan. Cllr Keegan says the plan would allow the council to fufill its commitment to provide 4,200 homes each year totalling 29,500 by 2022. The Government's Housing Agency had publicly urged the council to bring in a provision for smaller rental units. The Royal Society of Architects in Ireland and the Construction Industry Federation had also urged relaxation of apartment standards. Architects had argued that the 85% dual aspect requirement in particular had a disproportionate effect on decreasing the amount of apartments that could be built per floor. It is up to elected councillors to agree on a new development plan they will now be given until 14 August to submit motions followed by a special meeting on 16 September.